The Street 750 is the only Harley Davidson motorcycle that has been specifically designed while keeping India as a major market. It made its world debut at the 2014 Auto Expo in New Delhi as the entry-level bike in Harley’s portfolio. The American cult manufacturer had previously started developing products under the Dark Custom motorcycle range that is specifically oriented at young riders in developing countries like India. 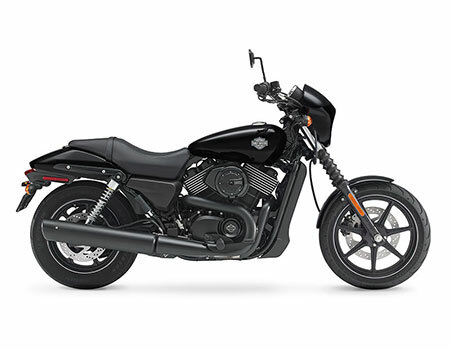 The main purpose of a bike like the HD Street 750 is to engage and add new riders onto the Harley Davidson bandwagon, and give them a feel of what is it like to ride a Harley. Press the self starting plug and the first thing you will notice is a lack of the Harley trademark thump from the exhaust. This lack of thump continues across the rev range, though the bike never feels out of power at any point. The engine is tuned to serve both city and highway rides and does it with ease, while the gearbox does get snappy a bit too often.